Any hopes that Washington had of making the NCAA Tournament this year disappeared over the weeekend when they announced that they had dismissed Robert Upshaw for an unspecified violation of team rules. The talented but troubled big man was clearly the Huskies best player averaging 10.9 points, 8.8 rebounds, and a NCAA-leading 4.4 blocks per game. This is the second time that Upshaw has been kicked out of a program as he was also dismissed from Fresno State in 2013. While this certainly won’t help his draft stock he is still probably a late first round pick because skilled big men are hard to find even if there are some red flags around them. There is a possibility that Upshaw could start playing in the NBA Development League much like P.J. Hairston did last year, but that would require him to be ineligible to play NCAA basketball. Since we don’t know all the details behind Upshaw’s dismissal we cannot comment too much on the probability of that happening, but it is worth keeping an eye on moving forward. As we have mentioned many times we don’t pay that much attention to high school recruiting for a variety of reasons (including, but not limited to time constraints and a desire to remain sane), but the McDonald’s All-American designation has been around for long enough that we still pay attention when the rosters are announced. This year’s roster was no different even if we only know about half of the players well. The first thing that jumped out at us was that there was only one Kentucky commit on the two rosters, which is certainly different than previous years although part of that has to do with how Kentucky is recruiting now, but there are still nine uncommitted players in the game so John Calipari still has plenty of time to catch up. The other thing was that the players were spread out pretty evenly with only two schools–Duke and LSU–having two commits in the game. Speaking of Kentucky and their recruiting, maybe one of the reasons that their recruiting is “down” this year is that they are not just focusing on American talent. A striking example of this is the verbal commitment they received from Tai Wynyard, a 6’9″ power forward out of New Zealand. Although we are a little uncertain of the skills of a player from New Zealand, we do trust Calipari’s eye for talent and he has played at a high level internationally. For now the big question regarding Wynyard is when he would come to Lexington as he is still just 16 and currently in the class of 2016, but might reclassify to the class of 2015 meaning he would be on campus for next fall, which would already add to what could be the #1 class in the country (again). Wichita State guard Conner Frankamp was arrested early Sunday morning on a DUI charge. Frankamp blood alcohol level at the scene was 0.186, which is twice the legal limit in the state of Kansas (0.08). Although Frankamp is still sitting out this year after transferring from Kansas, the school did release the typical generic statement saying they will be looking into the matter. Despite Frankamp’s meager production at Kansas (2.5 points per game last year), he was a top-50 recruit coming out of high school, which would seem to suggest the possibility that he could have a big role playing with less competition particularly against a lower level of competition too. Speaking of transfer, former Memphis forward Kuran Iverson will be transferring to Rhode Island. Like Frankamp, Iverson’s production (4.6 points and 1.9 rebounds per game) does not particularly grab your attention, but he was also a top-50 recruit coming out of high school. Unlike Frankamp, Iverson made sure to leave a mark at the school on his way out by first getting suspended then retweeting someone’s criticism of Josh Pastner at which point the decision for Iverson to transfer was probably welcome on both sides. While the AAC is not exactly a basketball powerhouse, the move down to the Atlantic-10 (however slight it might be) and perhaps more importantly new scenery might be the boost that Iverson needs to show us why he was so highly recruited coming out of high school. Most fans probably missed the most significant news in college basketball from over the weekend when the so-called schools from Power 5 conferences voted nearly unanimously (except Boston College) to pass a rule that will allow them to pay student-athletes between $2,000 and $4,000 per semester depending on the school towards a cost-of-attendance stipend. The rule extends beyond just the schools in those five conferences so beginning in August all schools will have the option of providing this to their student-athletes. It will be interesting to see how student-athletes who attend schools that decide not to provide this stipend react. It was also noteworthy that 15 of 80 votes on the measure came from student-athletes themselves (three each from the five power conferences). Fool me once, shame on you. Fool me twice, shame on me. Fool me three times… Well, Southern Methodist might find out the hard way as the NCAA has opened up an investigation into reported academic improprieties at the school. We might not consider this that noteworthy or ignominious except this might end up being the third time that Larry Brown could leave a school with NCAA violations. We aren’t sure of the details of the investigation, but we do know that Brown’s time at the school has certainly made life a lot busier for the reporters covering the SMU basketball beat. In a one week span, Xavier transfer Justin Martin announced that he was leaving the program and turning pro, assistant coach Ulric Maligi (the program’s top recruiter) too an indefinite leave of absence, and former McDonald’s All-American Keith Frazier was ruled academically ineligible. And now they have this. With all of the noise surrounding Brown and the relative lack of success he has had (still impressive given the program he inherited) we have to wonder how much longer he will be around at the school. Michigan‘s rough season got a lot worse over the weekend after Caris LaVert breaking his left foot and will miss the rest of the season. For LaVert it will be another surgery for the same foot he broke in May and required surgery on at that time. The season has been nothing short of the disastrous for the Wolverines so far and with this injury (LaVert leads them in points, rebounds, assists, and steals) they can forget about making the NCAA Tournament. It remains unclear what LaVert’s plan will be after the season as he could theoretically come back in time for draft workouts and would likely be a first-round pick even with any concerns about that left foot. Notre Dame got a huge boost late last week when they announced that Zach Auguste was eligible to play again after missing one game (against Georgia Tech) due to unspecified academic issues (a suspension by the school not the program). Auguste, who is the team’s only reliable big man, only played 9 minutes in their win over Miami, but he is indispensable for the team going forward. While Auguste is valuable offensively (second on the team in scoring) they could probably function reasonably well offensively without him. That isn’t the case on the defensive end where they need his size if they want to make a deep run in March. There were also a couple notable transfers late last week. 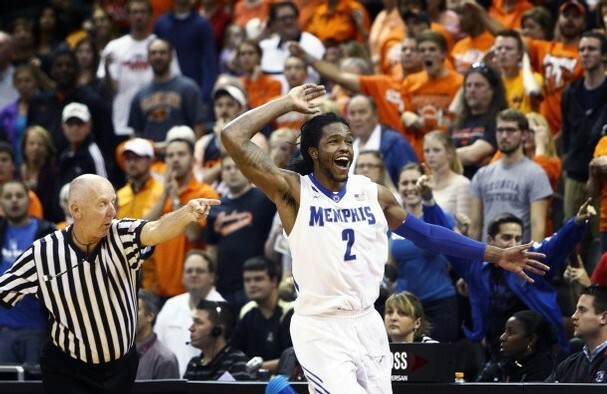 The more prominent one was the expected decision by Kuran Iverson to transfer from Memphis. We aren’t sure about what exactly went into Iverson’s transfer, but we are guessing the decision to part ways was mutual after Iverson retweeted a tweet critical of Josh Pastner after Iverson has been suspended for violating team rules. Although Iverson was highly touted out of high school he only averaged 4.6 points and 1.9 rebounds in 11.8 minutes per game this season. The other transfer news, which gathered less headlines but might be more impactful, was that Marcus Marshall had decided to transfer from Missouri State. The decision by Marshall, who led the team in scoring at 19.5 points per game (second in the Missouri Valley Conference), came after he had been suspended for conduct detrimental to the team. Marshall will be a highly coveted transfer this off-season at the very least at the mid-major level and will probably get some looks from lower-tier high-majors. Illinois suffered a huge loss when Rayvonte Rice, the team’s leading scorer, broke his left hand in practice on Monday. Rice, who was averaging 17.2 points and 6.9 rebounds per game, is expected to miss the next three to six weeks, but that all depends on how he responds to the surgery. For Illinois, which managed to knock off Maryland in its first game without Rice, they now face an uphill battle if they hope to make it to the NCAA Tournament. While their win against Maryland (and the relatively weak Big Ten this year) might give Illinois fans a reason to believe they will be able to survive Rice’s absence, the reality is that they probably lack the firepower now to be competitive with the top of the conference. It takes a lot for a rehearsed recruiting announcement to catch our attention, but when you announce that you are committing to a different school than you actually are, we notice. So when Carlton Bragg, a five-star forward in the class of 2015, announced that he was going to Kentucky, but put a Kansas cap on (he is going to Kansas…we think) it caught our attention. Bragg could find himself in a crowded Kansas frontcourt, but for now he does not appear to have any issues with that saying, “I don’t really care for minutes, I just want to be part of the team.” For what its worth, Bragg isn’t the first Kansas commit to confuse people during his announcement as Cliff Alexander faked out Illinois fans last year by reaching for their hat before going for a Kansas hat. Unlike last year, we doubt that there will be much sympathy for Kentucky fans who finally missed out on a big-name target. If Syracuse fans were hoping that DaJuan Coleman could be the missing piece to help turn their season around, they can forget about that now as the junior center has opted to officially redshirt this year. The news should not be that big of a surprise since Coleman has not played in a year after injuring his knee on January 7, 2014. Although Coleman’s prior production (4.3 points and 4.2 rebounds per game last season) might not seem worth noting, he was a big-time prospect coming out of high school and a great deal of his poor production can be traced back to his injuries. His redshirt could help Syracuse going forward by giving them more experience in the frontcourt in coming years. It looks like we may have seen the last of Kuran Iverson in a Memphis uniform. The 6’9″ sophomore, who had been averaging 4.6 points and 1.9 rebounds per game, was suspended for two games earlier this week for an unspecified violation of team rules. He compounded that infraction by retweeting a tweet critical of Josh Pastner although he subsequently deleted that retweet. We don’t know much about Iverson’s background in terms of legal issues and his interactions with Pastner, but we would be surprised to see him in a Memphis jersey again. Proponents of increasing benefits for student-athletes appear to have received a small victory as the NCAA is trying a pilot program where they will pay for travel for the families of players competing in the men’s and women’s Final Four. The families of players competing in the college football title game will also be provided with this benefit. The football players will be allotted $3,000 (from the College Football Playoff not the NCAA) to cover their family’s expenses (travel, accommodations, meals, etc) while basketball players will receive $4,000 from the NCAA for those expenses. We are not sure how this will be enforced as players can definitely find ways to take advantage of this particularly if their families live near the venues, but overall it appears to be a victory for student-athletes albeit a very small subsection of them. It has been a roller-coaster freshman campaign for talented Memphis big man Dominic Woodson. The 6-foot-10 and 300-pound center has a lot of talent and moves extremely well for a man his size, but there have been plenty of not-so-subtle hints that Woodson hasn’t quite figured out the whole maturity thing and still has a lot to learn. 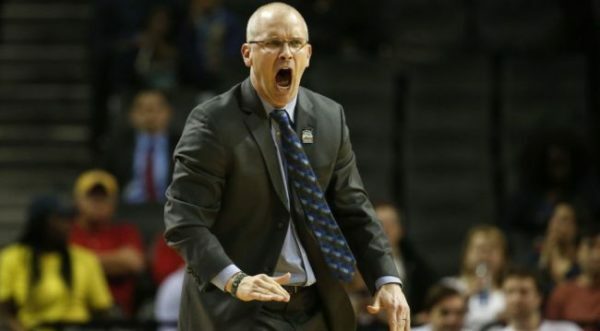 Yesterday, coach Josh Pastner let it be known that Woodson has been suspended from the team indefinitely for cussing from the bench during the team’s win over Central Florida. Pastner kicked him off the bench during the second half of the game and while it seems petty to suspend a player for curse words, it’s not hard to understand that cussing is just part of the problem for Woodson. It seems unlikely that Woodson will be suspended for the rest of the season, although he doesn’t play a lot to begin with, but it does sound like Pastner is sending a serious message for his big man to clean up his act. Hopefully Woodson receives the message loud and clear because if his behavior doesn’t show marked improvement Pastner probably won’t put up with much more. In contrast, Tigers’ freshman Kuran Iverson is handling the transition to college basketball much better than Woodson. Iverson might have been even more highly touted than Woodson coming out of high school in Hartford, Connecticut and yet he is playing less than 10 minutes per game and has yet to make a real difference for the team this season. Iverson gets a chance to return home this weekend as Memphis travels to player UConn and he said that he will have plenty of family in attendance, which is understandable since the XL Center is apparently just “two minutes from his house”. Unfortunately (primarily for sportswriters), the traditional storyline about a hometown player returning to wreak havoc on the nearby team that spurned him doesn’t quite fit in this situation as Iverson didn’t really want to go to UConn and the Huskies never seemed seriously interested in Iverson either. Hopefully he does get a chance to play in front of his friends and family and his attitude seems positive, so hopefully the playing time will come down the road as well. Four players from the conference — Memphis’ Joe Jackson, UConn’s Shabazz Napier, Louisville’s Russ Smith, and Cincinnati’s Sean Kilpatrick — were named to the Naismith Trophy Midseason Top 30 list yesterday. The folks picking this list got it right, at least in regards to the AAC, as those four have easily been the conference’s four best players and it’s not really close. When I first started to think of anyone who got snubbed, I was quickly surprised to realize just how far these four have separated themselves from the rest of the pack. Jackson’s statistics don’t quite measure up to the other three’s numbers, but he has arguably meant more to his team than anyone other than Kilpatrick and so he deserves to be on the list just as much as the other guys. That said, when you look at the combination of value to the team and all-around numbers, it is clear that Kilpatrick has the best chance of any of these players to actually win the award. He probably won’t, because there are far more high-profile candidates having fantastic seasons, but he is the only one with a real shot at winning the award. Louisville wanted to play Thursday’s game against Temple in Philadelphia. But the Owls, hoping to maximize fan turnout against one of the conference’s best teams, decided to postpone the game until Friday evening due to weather conditions. Cardinals’ coach Rick Pitino is anxious to get back on the court because his team hasn’t played in nearly 10 days and a Courier-Journal reporter didn’t help matters when he told Pitino that teams coming off a six-day layoff or more in the American Athletic Conference are 0-8 in their first game back. Pitino did point out that the extra day would help guard Wayne Blackshear shake the cobwebs from his concussion, but it’s still obvious that the Cardinals aren’t pumped to spend another full day in Philly. Both sides have a point in the matter, but it’s Temple’s home game so ultimately it’s their call. And frankly, it all seems to be much ado about nothing because the Owls are terrible and will need more than help from the weather to beat the Cardinals. Now that CBSSports.com has caught on, am I allowed to pat myself on the back for mentioning that the best AAC teams feasting on the terrible AAC teams is a big reason why the conference has as many ranked teams as any other conference in the country? Parrish deserves more credit since I just mentioned it in passing and he actually fleshed out the argument and used numbers to back it up but he illustrates the point well — the bottom half of the American is awful and it’s helping the other teams in the conference. Parrish does give credit where credit is due by pointing out that SMU and Cincinnati are much better than anyone expected and that is another reason why so many of the conference’s teams are ranked. But folks picking NCAA Tournament winners should be wary of pumping up the AAC because the teams that will make the tournament will undeniably have inflated win totals thanks to consistently dominating the conference’s worst teams. Here’s a look ahead to the Jimmy V Classic game between two Top 25 teams in Memphis and Florida. Shaq Goodwin will have his hands full with Patric Young tonight. The Tigers have one very obvious Casey Prather-sized problem heading into tonight’s match-up. Prather has been an offensive revelation this season and is the Gators’ leading scorer. He will be the Gators’ primary small forward tonight and that spells trouble for Memphis. The senior is too big, strong, and fast for any of Memphis’ three guards to defend, but his athleticism and length make him a problem defensively for the Tigers’ smaller guards. Prather still isn’t much of a shooter, so the Tigers would be wise to cut off his penetration at all costs. Memphis matches up with Florida nicely at every other position on the floor, so finding a way to exploit or at least not get exploited in that specific match-up will be important to the team’s success. The NCAA, in its infinite wisdom, suspended Memphis freshman Kuran Iverson for the Tigers’ first regular season game against in-state foe Austin Peay for playing basketball in two different cities this summer. Iverson, a Hartford, Connecticut native, played summer league games in both Memphis (the Bluff City Classic) and Waterbury, Connecticut (the Hartford Pro Am). The NCAA limits players to one team in one league during the summer, and Memphis self-reported the violation. “He assumed he could (play in the Hartford summer league) because it was in his backyard, in his neighborhood, and he grew up watching the league” Memphis coach Josh Pastner told the Commerical-Appeal. “He didn’t think anything would be against it.” Iverson can play in preseason exhibitions and scrimmages, will sit against Austin Peay (ranked #283 in the country by Ken Pomeroy) and will return for a road trip to Oklahoma State, who Pomeroy ranks #4. The timing is convenient for the Tigers, who shouldn’t have much trouble with Austin Peay, but will need all the help they can get against Marcus Smart and the Cowboys. Speaking of Memphis preseason games, coach Josh Pastner said he is trying to focus on defensive pressure ahead of this weekend’s “secret” scrimmage against Baylor. The Tigers’ defense has improved each year under Pastner; in 2009-2010, his first season, the team ranked #163 in Ken Pomeroy’s Adjusted Defense at 101.2 (which roughly translates to allowing 101.2 points per 100 possessions against the average D-1 offense). The team rose to #60 in the ranking in 2010-2011 (96.4), #16 in 2011-2012 (91.6) and #13 last season (90.0). The defense played the crucial role in Pastner’s first NCAA tournament victory, when the Tigers snagged nine steals and limited St. Mary’s to 33% shooting. Maintaining a stout defense this season (Pomeroy projects the Tigers to rank #15 at 92.5) will be particularly crucial with the step up in competition to the American. A year ago, Connecticut had only thing left to play for: “Pride,” junior guard Ryan Boatright said to USA Today. “Pride and proving the world wrong.” Hall of Fame coach Jim Calhoun had just retired in the face of the Huskies’ ineligibility for the NCAA tournament due to academics. Kevin Ollie was named the interim coach, “but I looked at it like I had a lifetime deal,” Ollie, a former Connecticut point guard, told USA Today. “I look that way at every aspect of my life, everything. That’s how I want my players to look at things. Sometimes you’ve got to believe in the dark. You don’t know the outcome, but you just keep believing in one another.” Playing for pride, and believing in one another, carried Connecticut to a 20-win season and now has them ranked #19 in the preseason coaches poll. Ollie got a new contract, and now finds himself as one of brightest young coaching stars in the game. Once Louisville leaves of the ACC, Connecticut will be the clear face of the league, and Ollie’s early success has them well poised to for that role. The major obstacle to Connecticut’s success this year certainly appears to be its thin frontcourt, and Wednesday’s easy exhibition win over Southern Connecticut State can’t be too comforting on that issue. The Huskies were outrebounded by their Division II foes 48-43, and managed only five offensive rebounds compared to SCSU’s 18. “I wasn’t happy with the rebounding effort, and they’ll understand that when we get back Friday,” Kevin Ollie said after the game, but singled out sophomore Phil Nolan for praise. “He as six rebounds in 11 minutes, that’s pretty damn good. If he does that, he’ll play.” For his part, Nolan said the rebounding would improve. “We’ll get back in the lab and work on rebounding, and you’ll see improvement next time,” Nolan said, adding that “People say we have a small team, but you look at it, we’re pretty big. We can do a lot of things.” The American promises to be a perimeter-oriented league, but the Huskies must improve their rebounding (they ranked #278 in offensive rebounding percentage and #319 in defensive rebounding percentage last year, according to Pomeroy) if they want to live up to their lofty preseason ranking. Temple coach Fran Dunphy has been a head coach in college for 24 years – with 15 NCAA tournament trips – but thinks this year might be his toughest yet. “I think this is as challenged as I’ve been as a basketball coach,” Dunphy told CBSSports.com. “It should be a very interesting experience for us this year to see where we wind up. There’s a lot of unknowns and a lot of apprehension at this point.” That’s reasonable, as the Owls find themselves in a new league with many new faces in their team photo. The team lost five seniors off a squad that won 24 games, including one in the tournament. Those five combined to average 52.9 points per game while the team averaged 72.8. Dunphy’s first team at Temple finished 12-18; the next six (also the last six) have each won 21 games and made the NCAA tournament, so it’s tough to count him out. But facing a tough non-conference slate and a stronger league, it seems highly unlikely that Temple will be dancing in March. Many times interviews with players tend to be essentially fluff PR pieces so we have to commend Andy Katz for his excellent interview with controversial Ole Miss star Marshall Henderson. Henderson’s exploits both on and off the court have been well-documented, but it was interesting to see him be so open about his missteps publicly. Henderson will have to sit out three games this season (season opener then the team’s first two SEC games), but otherwise appears to have avoided any more significant punishment. Hopefully, Henderson can stay focused enough to have a long basketball career whether it is in the NBA or abroad. Maryland was dealt a significant setback when it was announced that starting point guard Seth Allen had broken the fifth metatarsal in his left foot and will be out 8-10 weeks. The injury, which occurred at the end of Tuesday’s practice, will lead the Terrapins to shift Dez Wells to the point guard position and should create issues for the team during Allen’s absence particularly with their opener coming a little over a week against a Connecticut team that boasts one of the best backcourts in the country. Allen should be back in time for the majority of the team’s ACC schedule so the Terrapins still have some hope of recovering from what is a poorly-timed injury. The beginning of this season already promised to be a rough one for Billy Donovan with his Florida team with multiple players out with injuries, Scottie Wilbekin potentially missing games due to a suspension, and Chris Walker still in academic limbo. Unfortunately things just got tougher as sophomore guard Michael Frazier will be out indefinitely after being diagnosed with mononucleosis. The combinations of injuries/illnesses and suspensions will likely force the Gators to start freshman Kasey Hill and sophomore DeVon Walker at the guard positions for the season opener against North Florida before they go on the road to take on Wisconsin on November 12. Billy Donovan did get some good news yesterday as 5-star forward Devin Robinson committed to play at Florida. The addition is particularly big for the Gators as Robinson (a Virginia native) is their first out-of-state 5-star recruit since 2011 (Bradley Beal) and only their second since 2004 (Corey Brewer). In the end (we are assuming this is the end of Robinson’s recruitment although we might be speaking too early), Florida beat out Indiana, Notre Dame and Oklahoma State for Robinson’s services. Robinson will join two other top-50 recruits (Brandone Francis and Chris Chiozza) to comprise what is shaping up to be a very impressive class of 2014 for Florida. With Florida’s high turnover coming after this season (four players are seniors including three interior players) Robinson should expect to see playing time fairly early.